Every true Star Wars aficionado knows the value of collectibles. 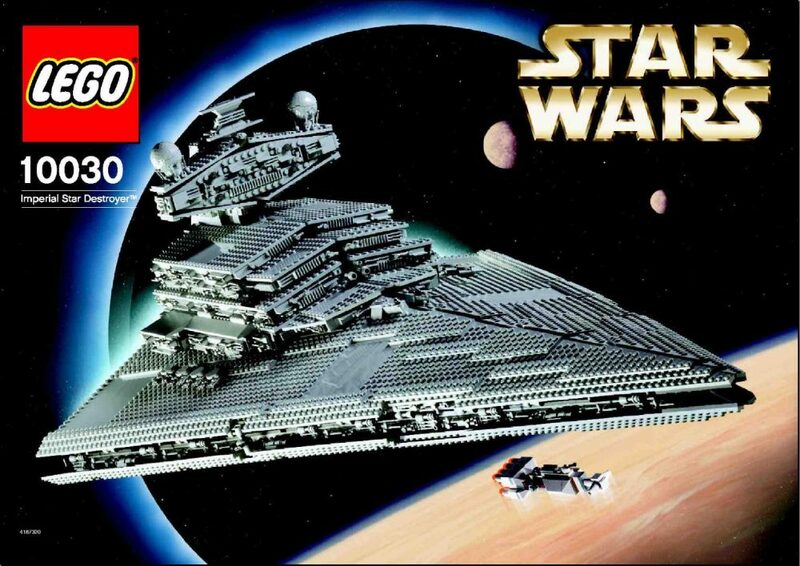 Fortunately for the Jedi-lover, there are plenty of Lego sets based on the movies to fulfill every possible collectible need. 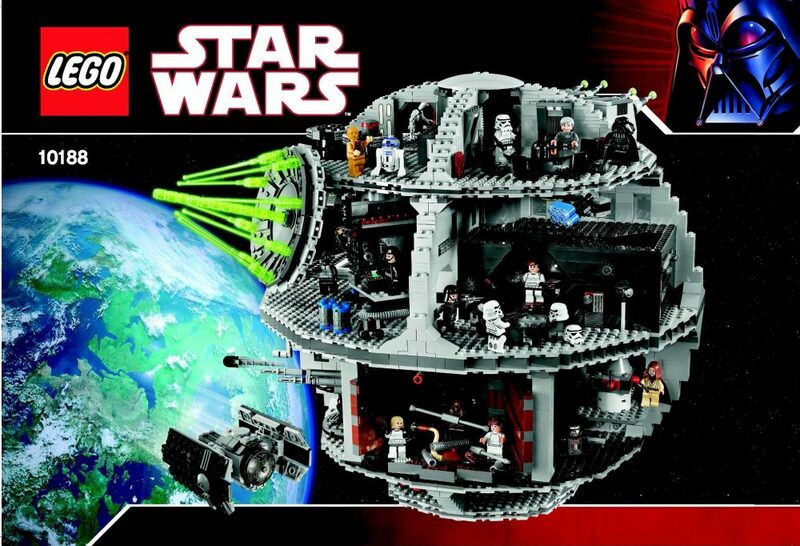 Here are the 10 most incredible Lego Star Wars sets ever made and how you can get your hands on them. 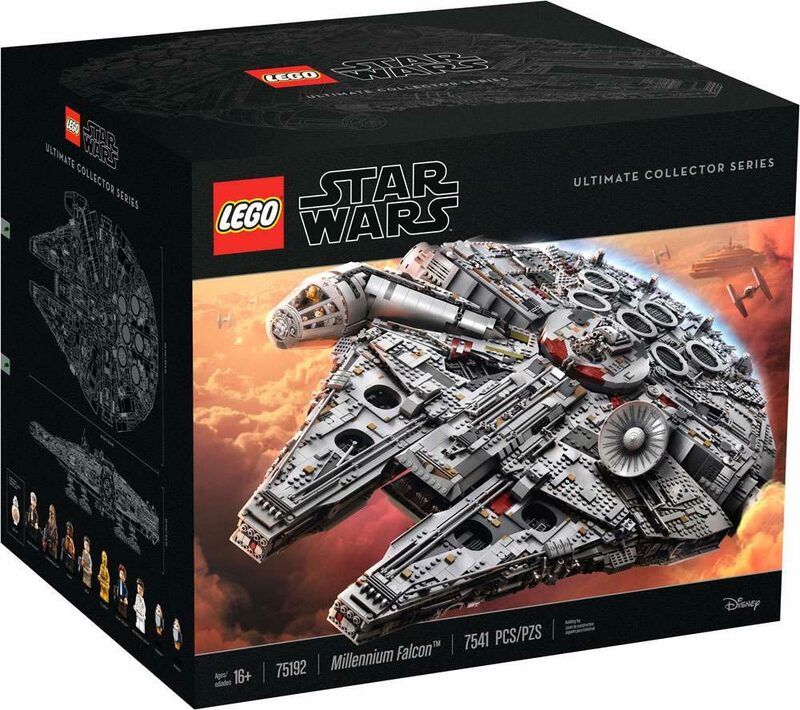 With an MSRP of $799.99, the Ultimate Collector Series’ Millennium Falcon better live up to its name – and it does! With over 7,500 pieces, this massive Lego set measures 33 inches long, 22 inches wide and eight inches high when finished, making it one of the largest Lego sets ever created! This highly detailed set includes a mini figure cockpit with detachable canopy, removable individual hull plates and interchangeable sensor dishes. It also has a highly-detailed exterior and the option for changing out the crew depending on which movie you plan on re-enacting. Whether you want to recreate The Empire Strikes Back or The Force Awakens, this detailed set provides the perfect backdrop and comes with eight mini figures: Han, Leia, Chewbacca, C-3PO, older Han, Rey, Finn and BB-8. Who doesn’t want a giant Death Star in their Star Wars collection? This 2016 set retails for $499.95 for a good reason: it features a whopping 23 mini figures (including Darth Vader, Emperor Palpatine, Han Solo, Princess Leia, Chewbacca, and three different Luke Skywalkers), and details from two of your favorite movies: A New Hope and Return of the Jedi. Measuring over 16 inches high and 16 inches wide, this mega-set has 4,016 pieces and is compatible with all other construction sets. At over three feet long, this Imperial Star Destroyer set puts all other Star Wars ships to shame. 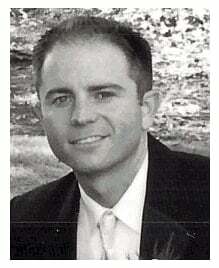 Originally released in 2002 with an MSRP of $269.99, it currently goes for upwards of $2,500. Not only does this set have a whopping 3,104 pieces, but it also includes a mini-model of the Rebel Blockade Runner so you can recreate your favorite scene from A New Hope. An intricate replica of one of the most elegant-looking designs in the entire Star Wars universe, this Imperial Star Destroyer is the perfect centerpiece for any collector’s living room. Ready to recreate the Rebel Alliance’s Echo Base from The Empire Strikes Back? Then you need this 2016 Ultimate Collector’s Assault on Hoth set. It originally retailed for $249.99 and goes for over $300 today. 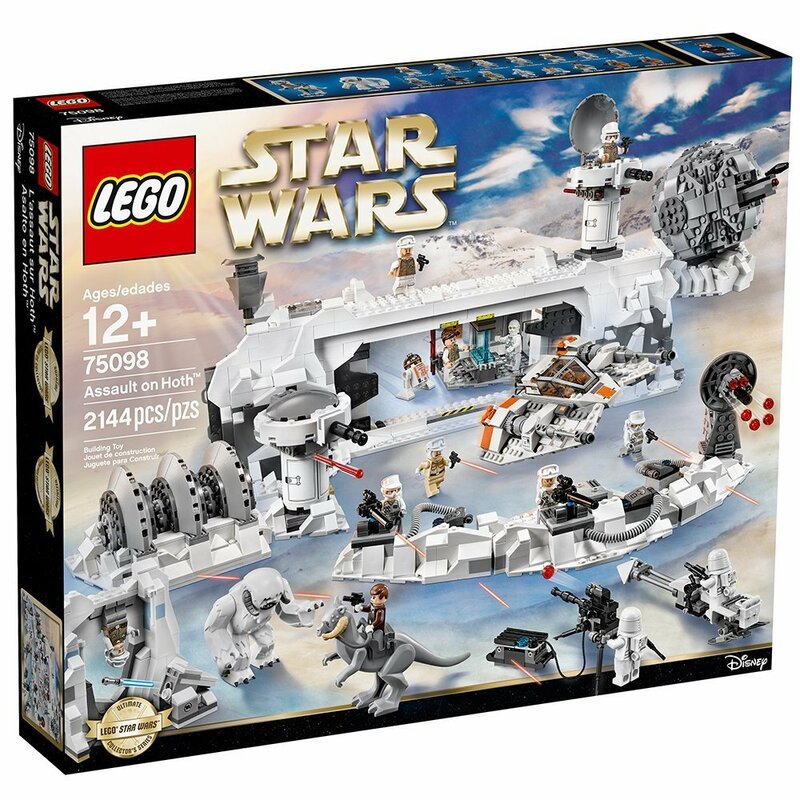 You’ll get a highly detailed set that includes a Snowspeeder, a trench with heavy blasters and double spring-loaded shooters, 14 mini figures (including a Tauntaun and a Wampa) and assorted weapons. The wall has sliding doors, a control room, power operator, and even a Wampa cave. Collectors can create multiple Rebel base configurations and have hours of fun with this customizable set. Fans may dispute the awesomeness of the cute and cuddly Ewoks, but no one can dispute the awesomeness of this Ewok Village set with its stunning attention to detail and cache of 16 Return of the Jedi mini figures (including Wicket)! 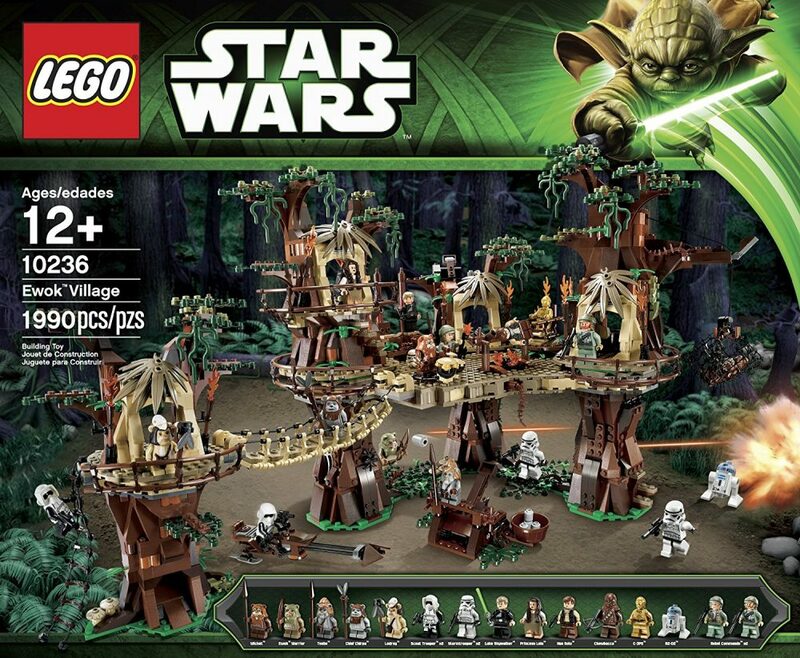 This 2013 set originally retailed for $249.99 and currently goes for about $400, but you’ll get what you pay for with a full recreation of the Ewok’s treetop home on Endor. Complete with a treehouse hide-out, spider web, catapults, and even a secret lightsaber stash, this realistic set lets you act out your favorite scene from Return of the Jedi. You can’t recreate unforgettable scenes from A New Hope without your very own Sandcrawler set! This 2014 set originally retailed for $299.99 but can be found for about $400 today. Fans know the Sandcrawler as the Jawas’ desert vehicle on Tatooine. This Lego Sandcrawler is steerable and has two working cranes and a front ramp you can open. 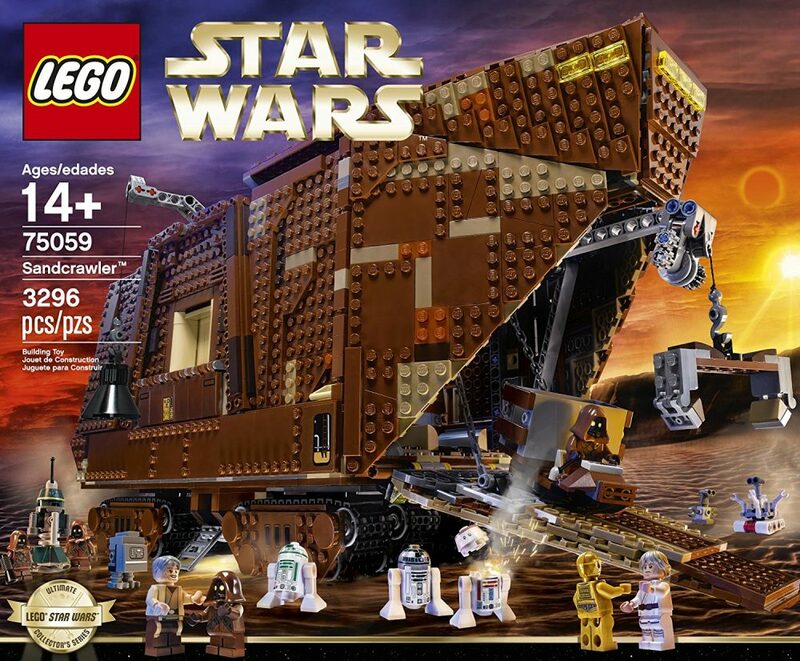 Complete with seven mini figures (including four Jawas), six droids, and a concealed cockpit and engine, this Sandcrawler is vital to any collector. You can trap Artoo up into the crawler or help Luke and Uncle Owen select the perfect droids for all their needs with this large and versatile set. 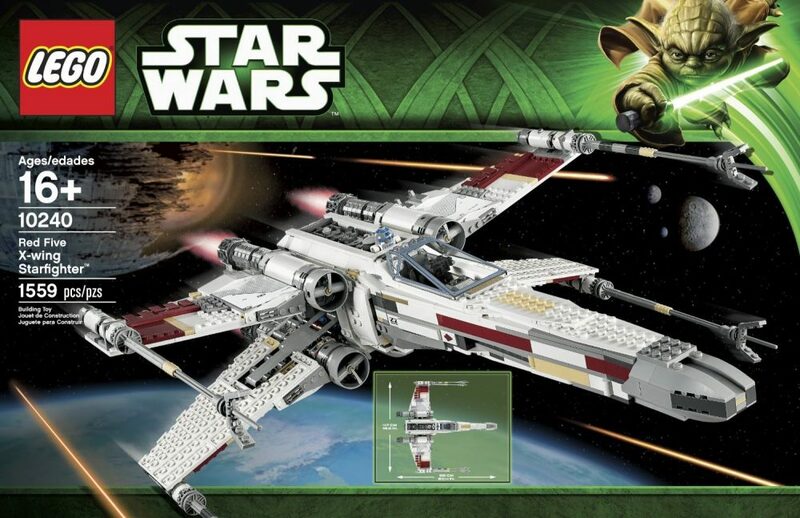 You’ll love this highly detailed Red Five X-wing Starfighter set, originally released on May 4, 2013 for $199.99. You can find it today for around $350, and it’s well worth it for the collector who needs this signature ship to recreate Luke’s iconic run through the Death Star trench at the Battle of Yavin. The cost is justified by the incredible detail including opening cockpit, folding wings and, of course, R2-D2 himself. At over 10 inches tall, the X-Wing comes with its own display stand so you can show off the completed set to all your friends. 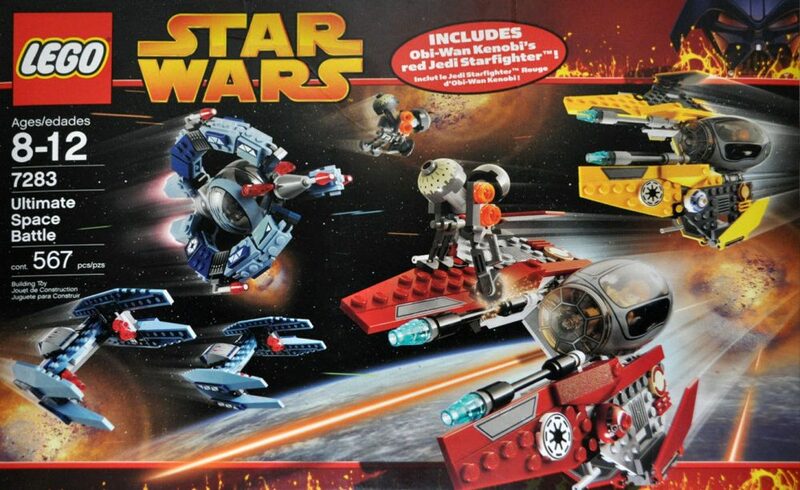 You can recreate Revenge of the Sith right in your own home with this Ultimate Space Battle Set. Originally released in 2005 for just $49.99, the awesomeness of the set has skyrocketed the price today, where it currently goes for over $500 new in box. That price is easily justifiable when you realize it includes two vulture droids, both Obi Wan and Anakin’s Starfighters, a droid Tri-Fighter and four mini figures. 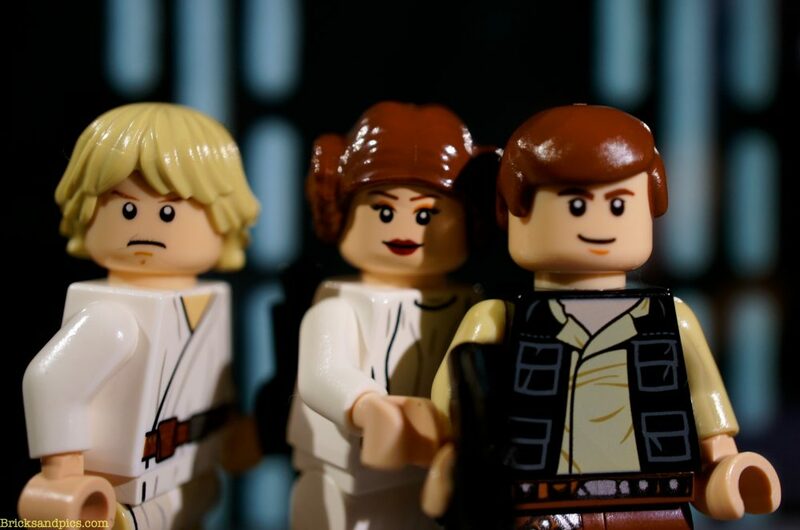 Use this set to help Anakin and Obi Wan rescue the Chancellor and beat the Buzz Droids. Recreating the first scene of Episode III: Revenge of the Sith has never been more fun than with this stellar set. What Star Wars collection is complete without everyone’s favorite droid? 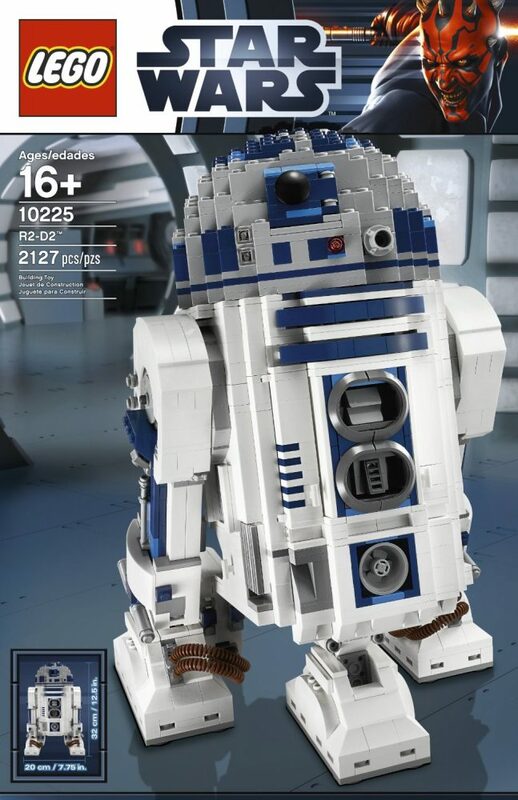 This 2012 R2-D2 set, which has been discontinued by the manufacturer, originally retailed for $179.99. 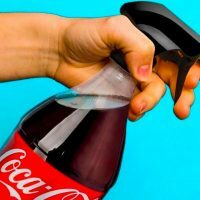 You can pick it up today for about $400, but it’s a price worth paying. With incredible detail, retractable third leg and front panels, and rotating head, this set is Artoo as he should be! Though the droid himself measures over twelve inches high, the set also comes with a mini R2-D2 perfect for any collection. 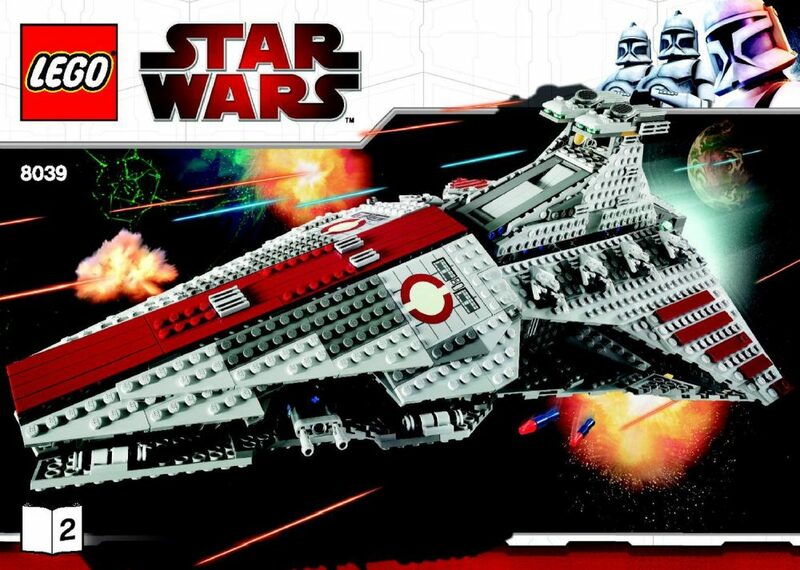 You can pick up this Clone Wars Venator-Class Republic Attack Cruiser, which retailed for $119.99 in 2009, for a cool $619.99 on Amazon today. This detailed set lets you open the front hood for access to Palpatine’s command center and lift the rear wings to take a look at the hidden gunnar and missile and storage area. It also includes five mini figures (including the Chancellor himself). Built for ship-to-ship combat, this icon from the Clone Wars can easily take on any of your other ship sets in an epic battle right in your own living room. At 1,170 pieces, you’ll have hours of fun with this high-end set.